Remember us? Neither do we. 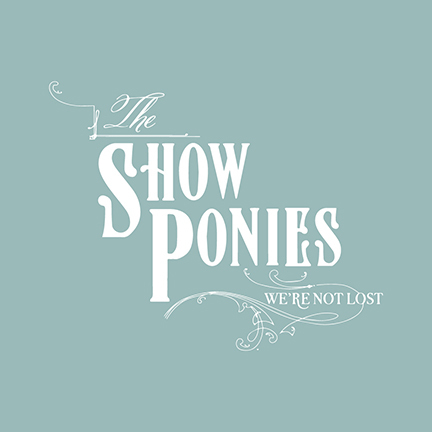 On with the show. 10. Nattesferd Kvelertak — Listening to Nattesferd, Kvelertak’s third full length album, is something like travelling back in time. The album is a marked departure from aural onslaught of their previous record (2013’s Meir, produced by one of my all-time favies, Converge’s Kurt Ballou). Don’t get me wrong, Nattesferd is an onslaught, but of a much different nature. Fears that Kvelertak might be headed toward a more mainstream rock sound are allayed continually throughout this 47-minute masterclass in capturing the familiar energy, precision and fun of the American heavy metal sound of the early eighties and the aggression and fullness of the Norwegian black metal sound of the 21st century without losing any of their respective charms. 9. 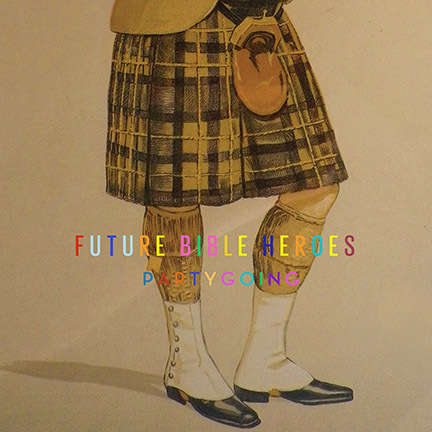 Puberty 2 Mitski — There are two distinctive threads running through Puberty 2. Firstly, there is innovation and a refusal to adopt a singular form of songwriting. Mitski demonstrates that she can write high quality and accessible pop tunes (see ‘Your Best American Girl’) whilst verging on proto-grungey post-punk (see ‘My Body’s Made of Crushed Little Stars’) and occupying more familiar, yet refreshing indie territory in between. The second thread demonstrates that Puberty 2‘s variety is not the result of simply compiling tracks from across a repertoire — this is Mitski’s fourth album. Looking past the fact that she’s only 25 (what have we done with our lives? ), Mitski is demonstrating that she is a seasoned and consummate artist. 8. Next Thing Frankie Cosmos — Next Thing is the epitome of ‘big things in small packages’. This album lasts under a half an hour, with the longest of its fifteen tracks lasting only 164 seconds (that’s 2:44). But the listener will not feel cheated. Somehow, Frankie Cosmos (22-year-old Greta Kline) is able to capture complete, common, yet complicated thoughts with each track. 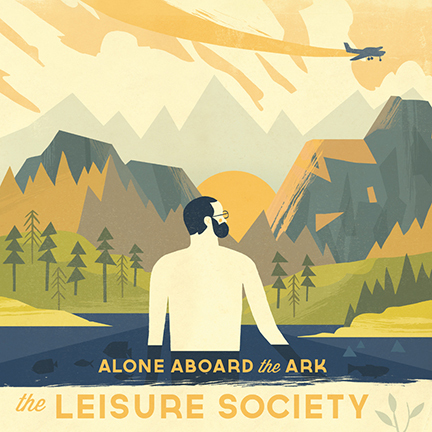 In fact, the album is summed up quite well by the cover. As you can see, the perspective of the image is from that of a passenger in a car, doodling in a notebook. At the same time, the passenger is revealed to be using a mobile to take a photograph – captured as the cover image itself. The car is veering left, perhaps making a turn to the ‘Next Thing’. We also observe typical things – a fallen tree branch, a littered plastic bag, paw prints, a car driving off in the distance. It’s a brilliantly simple yet interesting composition, much like the record. 7. Skeleton Tree Nick Cave & the Bad Seeds — This album, as so many albums on my list this year, caught me by surprise. I first heard ‘Jesus Alone’ on 6 Music on 2 September and I knew Skeleton Tree was going to be special. The production was sparse and moving. 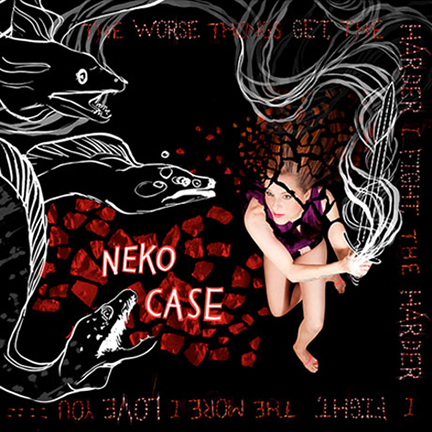 Cave had moved from his typical narrative formula (in the accompanying documentary, One More Time with Feeling, Cave claims that he has lost his faith in narrative-based songs). The rest of the album reflects these shifts. With both the stirring words and ambient musical tone, Cave is reflecting on a profound sense of loss (having lost his young son Arthur in the summer of 2015) and engaging in some serious existential inquiries. So really, Skeleton Tree is not so atypical of Nick Cave & the Bad Seeds after all. 6. Teens of Denial Car Seat Headrest — There’s been a slight tendency toward slacker rock in my listening this past year. It’s probably a hangover from 2014’s GARAGE ROCK BONANZA. When Car Seat Headrest’s Teens of Denial first appeared on my radar, I despised the names of both the band and the album. But as with a lot of things in life, those become invisible or at least inconsequential to an individual once a relationship is solidified. I could write a lot about this record, but Greg expresses it so well that I’ll cede the floor to him for this one (see Greg’s comment on Teens of Denial below). 6. Painting of a Panic Attack Frightened Rabbit — A familiar face. I’m going to be honest here: when I first heard this record I was convinced that I would consider it nearly, if not the weakest Frightened Rabbit album to date. Something about it fell flat for me. So I put it away for a few months. Maybe six months. Then I picked it up again – I knew there had to be something I was missing. Even upon the first re-listen I asked myself, ‘Was I even paying attention?’ It was as if I had never heard these songs. And they were actually quite good! Maybe you share my initial impression. If you have not got back to Painting of a Panic Attack, I implore you to give it another shot. I admit that there are times when it feels less adventurous/emotionally porous than FR’s other material, but there is a quality to the songwriting (thanks to the ever insightful pen of Scott Hutchison) and production (thanks in part to the National’s Aaron Dessner) that keeps me listening. 4. Emotions and Math Margaret Glaspy — Margaret Glaspy’s debut album makes one wonder, what comes next? Emotions and Math is as competent and complete as a veteran release. That’s not say that Glaspy has gone stale – far from it! 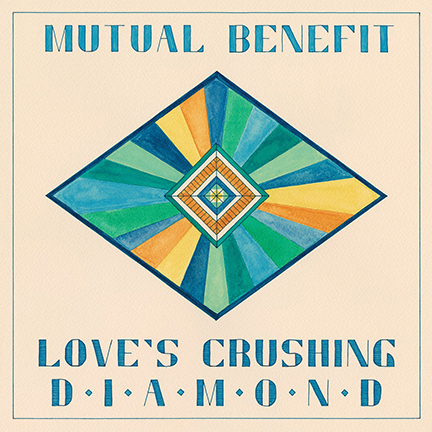 She touches on Aimee Mann and Elliott Smith in equal measure and brings her own sophisticated musical sensibilities to the table in well packaged yet positively aggressive and unpolished pop rock tunes. Emotions and Math improves upon subsequent listens and leaves us thirsty for what Glaspy will do next. 3. A Moon Shaped Pool Radiohead — I’ve done the maths and have discovered that the period between The King of Limbs and A Moon Shaped Pool is the longest gap between Radiohead albums since their first release, way back in 1993. That’s five years, two months and 20 days between KoL and AMSP! I know it might not seem like much, but perhaps you will remember that long gap between Hail to the Thief and In Rainbows – a mere four years, four months and one day. Okay, maybe it’s not so much about the quantity of time between records as it is the quality of material on each record that leaves us thirsting for more. The King of Limbs has its charms, including the special edition packaging, featuring the world’s first (and probably last) ‘newspaper edition’. But it fails to reach the bar set by previous releases, especially since In Rainbows seems to have become so loved amongst the Radiohead intelligentsia. But A Moon Shaped Pool proves to be not so much a simple return to form as it is a uniquely profound yet thoroughly ‘Radiohead’ collection of haunting and atmospheric orchestrations. It is unassuming, gritty, yet polished. It is all the things for which we admire Radiohead and with an added expanse of lyrical coherence. 2. 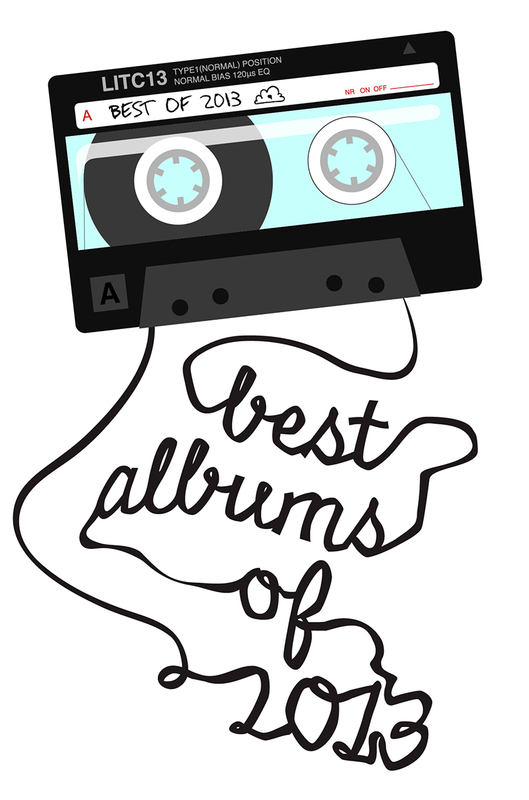 My Woman Angel Olsen — Angel Olsen is another familiar face among my end-of-the-year picks. Her previous record, Burn Your Fire for No Witness, was my third favourite album of 2014. When an artist produces something as good as Olsen’s previous outing, it’s difficult to know how to approach subsequent releases. Should one set high standards only to be disappointed or should one go in expecting the worst? I was still weighing out this question when I first heard My Woman. According to Olsen, the album’s themes revolve around ‘the complicated mess of being a woman’. As one who does not self-identify as a woman, I believe this album also has plenty of energy to contribute to ‘the complicated mess of being a human’. Olsen’s lyrical, vocal and musical presence is stronger than ever and the record seems to hold together more fully than her earlier releases. In complete self-awarness, she addresses themes of despair, broken expectations and ultimately, hope, all borne with her trademark wit and defiant boldness. 1. 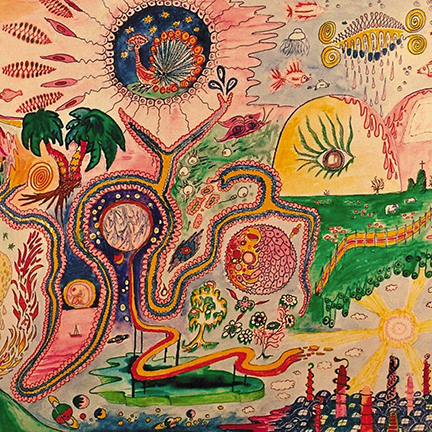 Masterpiece Big Thief — It’s been a while since I’ve been so completely surprised by an album. There are great albums from great artists that I can see coming from miles away (such as Sufjan Stevens’ masterful Carrie & Lowell from 2015) and there are the general surprises that make me a new fan (such as Emotions and Math and Teens of Denial above). But then there’s something like Big Thief’s Masterpiece. 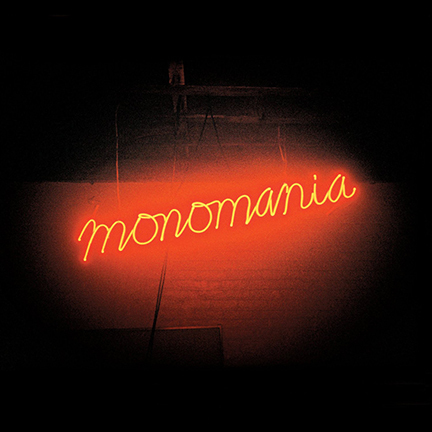 I had already heard the album before I realised it was released on Omaha-based Saddle Creek Records, which might have coloured my first listen with Midwestern angst. But the Midwestern angst found me over the course of that first listen. I grant that this is all becoming a wee bit self-indulgent for an Angeleño-Glaswegian commenting on an album from a Brooklyn-based band that reminds him of the American Midwest. (To give me some tenuous credit, singer/guitarist Adrianne Lenker is from Minneapolis.) But there are serious, though probably unintentional musical and vocal hints of the Anniversary (1997-2004) among others, which is enough to send me spiraling into an adolescence-fueled hunt for a [misplaced] sense of ‘authenticity’. Because of these fleeting emotions, I feel some sort of shame that I can’t help but make this album my top pick of 2016. Beyond these fleeting emotions, Masterpiece is an album with superior breadth and depth, musically and thematically, driven by Lenker and Buck Meek’s vocals and guitars, completely deserving of any scanty honour that I may offer. It will haunt me well into 2017, which, unlike UK and American politics, is no bad thing. 10. Everything At Once Travis — Elijah may be holding his nose with this choice, but I felt like these Scottish lads (who’ve been together for 26 years!) finally found their way back to the simple, lovely tunefulness of their turn of the century apex (The Man Who, The Invisible Band) with this strong release. I’m a sucker for the gentle melancholic hopefulness of Fran Healy’s voice (check out 2:03 on this video) and shimmering indie instrumentation of the band. 9. Winter Lives Matt Pond PA — I have a weak spot for this chamber-pop troubadour. He once again demonstrates a songwriting brilliance that has made me love his poppy, life-affirming tunesmithery over the years. His voice has such a perfect sincerity and tone, the lyrical nostalgia of songs like ‘The Glow’ and ‘Whoa (Thirteen and Sledding with Kerry in Northern New Hampshire)’ warmed my sentimental heart, and the arrangements are solid and masterful. 8. Light Upon the Lake Whitney — You listen to this album and you wonder, what time-machine did these guys fall out of with their perfect falsetto over tight bass/drum combo and 60’s & 70’s guitar sounds. They may be aching for those ‘golden days’ but for my money, they’ve captured them quite perfectly here. 7. Arranging Time Pete Yorn — Ah Pete Yorn, yet another brilliant songwriting flame from the early 2k’s that had somewhat flickered out over the years (a la Travis). But he found that former fuel somewhere and picked up right where musicforthemorningafter left off with this new release. Check out tracks 1-3, ‘Shopping Mall’ and ‘Walking Up” for shambling, big-hearted, melodic indie goodness. 6. Not To Disappear Daughter — Oh her voice just slays me from the first word to the last: like smoke hitting a rain-covered window. Her elegant lyrical delivery taps into the deepest sadness you could imagine, but then soars into the sun over a cascade of guitars and throttling drums (check this video out, as well as this one and fail to be impressed). 5. A Moon Shaped Pool Radiohead — This collection of songs (arranged alphabetically it seems) took a bit to grow on me. 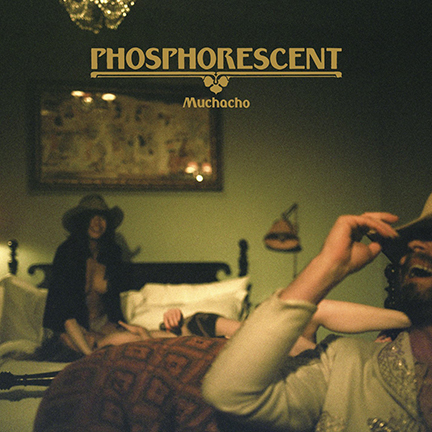 Initially, I thought it was just some stray songs they’d never really finalized that they’d figured they would finally put on a record, but as I listened more carefully, it opened itself up to me—a staggering heartbreak woven through with gorgeous orchestration and unexpected turns of phrase and melody. They are back at the heights of their powers after the floundering The King of Limbs. 3. Painting of a Panic Attack Frightened Rabbit — Ok, earlier I had told Elijah this wouldn’t probably be on the upper half of my top 10, but as I’ve gone through and listened again to the 12 tracks, it really is strong (I was basing my early sense of the album on the deluxe edition with 3 extra b-side worthy tunes). I think I was initially turned off by some of the ‘radio-friendly’ tendencies I was picking up (‘Get Out’, ‘An Otherwise Disappointing Life’) and though it loses it’s way a bit on the second half, man, when you listen to ‘Death Dream’ and ‘I Wish I was Sober’ and ‘Still Want To Be Here’ and ‘400 Bones’, it’s clearly the same undeniable genius we’ve celebrated on their last 3 albums. 2. Are You Serious Andrew Bird — I’ve always been a fan of the Birdman, but sometimes his meandering obscurity (addressed here on the title track: ‘Used to be so willfully obtuse / or is the word abstruse? / Semantics like a noose / get out your dictionaries’) and multi-layered loop tracks could sometimes become a bit tiresome. Here, he is the TIGHTEST he’s ever been with a strong backing band, streamlined songwriting, and his most straightforward reflections (‘this is all non-fiction’) delivered sincerely alongside delicious whistled melodies. 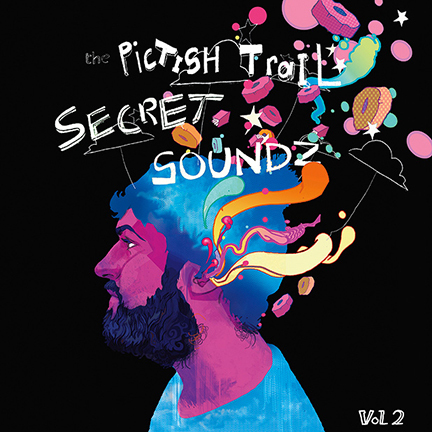 It’s an almost perfect album (save the two-chord gruelling groove ‘Truth Lies Low’). 1. Teens of Denial Car Seat Headrest — I resisted listening to this album for a long time, despite (or because of?) the accolades coming in from various quarters of musicdom. I can’t remember what made me give in, but I’m so glad I did not hold out one moment longer. This is a concept album about a troubled teen exploring some deep universal themes (mortality, depression, anxiety) and others more teen angst-y (experimenting with drugs, drunk driving, relationship drama). The vocalist sounds (and reads) like two parts Ray Davies (Kinks), one part Beck, one part Stephen Malkmus (Pavement) with a dash of Black Francis (Pixies) to taste. The sound of the record is a blend of 90’s alternative rock (open chords through chunky overdrive pedal; double-tracked vocals) mixed with kind of a classic rock aesthetic (hello cowbell! ), but as with all of the artists on this list, the song is king (the only number I’m not crazy about is the nearly 8 minute jam ‘Vincent’). This kid is only in his early 20’s but, to my ears, he has already been writing songs for years that hold their own with the greatest ever written. 22, A Million Bon Iver — I actually like this experimental collection from the falsetto king, but it just didn’t seem substantial enough to qualify as a full-length LP—it’s only like 22 minutes and 22 seconds long (hey wait a second, that was on purpose!!). Young Mood Colt — It really is a great collection of songs—I just couldn’t get over the singer’s grating, narcoleptic baritone voice. I also didn’t find the time to listen more carefully to a few records from artists I admire (Remember Us to Life Regina Spektor and Ruminations Conor Oberst, so they perhaps would have ended up on this list had I given their albums some attention). I also want to keep my ears tuned to the Spanish alt/indie band Mourn, who had a so-so album come out, but have potential to be a great band in the days ahead. Painting With Animal Collective — Not as bad as 2012’s Centipede Hz, this album still failed to make much of a dent in the AC canon, which is so disappointing as I love this band so much. Mangy Love Cass McCombs — I swing back and forth on this guy from album to album, but I almost felt like he was pranking his audience with this collection of his usual esoteric lyricism put to “easy listening” accompaniment. It won many fans in a wide range of music critics, but I’m calling the Emperor’s New Clothes on this one. Here Teenage Fanclub — Oh how I love these Scottish indie gods, but this album, their 10th LP, bored me to tears. It’s been over a year now since I wrote my last chapter of “Band Evangelist.” How is that even possible? Well, I suppose that sometimes there are periods of silence between the testaments, right? 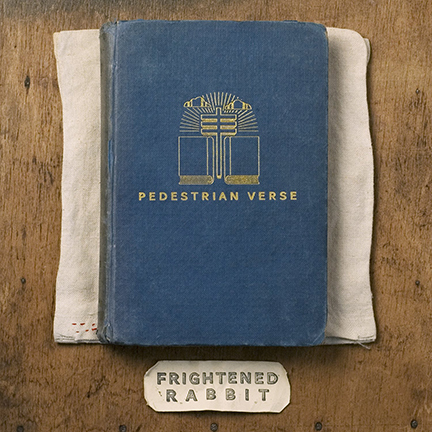 Pedestrian Verse – Frightened Rabbit (February 1): Will definitely end up on my top 10 of the year. 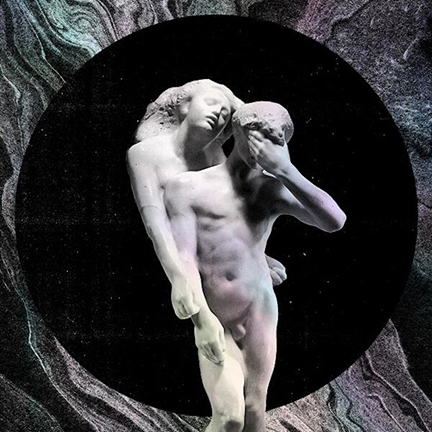 These guys are reaching a level of infallible music-making that should secure their place in the pantheon of rock demi-gods (though I’m a strict indie-monotheist–as in “Glory be to S-FJ-N”–there is a certainly room for a henotheistic heavenly council). Speaking of gods, FR are a bit rough on us believers on this album, as in MULTIPLE tracks talking about how hypocritical, naive, and oppressive Christians can be (a bit of cliche by this point, no? ), but man can these boys write a beautiful song full of disdain. Talent oozing like oil slicks on the North Sea. Maybe the Prophet (Elijah) can give some insight into the Scottish Catholicism (?) that has turned these boys’ stomachs so deeply against Mother Kirk. PS The deluxe version of this album has some solid bonus tracks and concert DVD material. Country Sleep – Night Beds (February 1): I have to give full credit to my boy Wade for turning me onto this gorgeous album out of nowhere. I told him that they sounded like the prettiest of Ryan Adam’s mellow songs (at which point, he began playing a new Ryan Adams album I hadn’t heard…losing my prophetic edge here!) mixed with kind of a Bon Iver frozen hauntedness. Highly recommend a full listen to this! 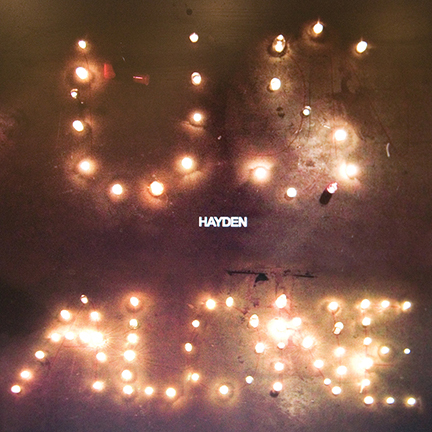 Us Alone – Hayden (February 5): I always say that Hayden is an acquired taste, so this album is not for everyone & probably not even for his fair-weather fans. More the real followers–the kind for whom his music is almost everything. But great, mature songwriting, tasteful little jams, & uniquely clever musings all around. 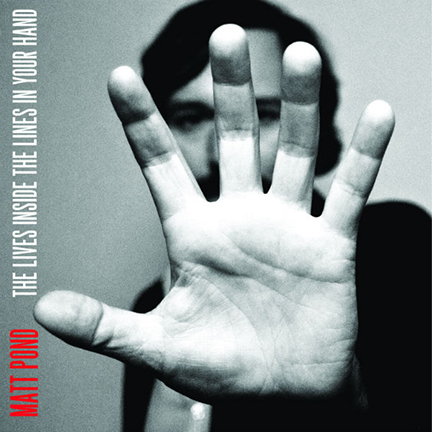 The Lives Inside the Lines in Your Hand – Matt Pond (February 5): He lost the PA that used to follow his name, but he’s written an album that holds up to the best of his earlier work (Several Arrows Later, for my money). If you can’t take lovely-throated, hook-filled indie-pop with sunny melodies covering dark lyrical waters, then look elsewhere. 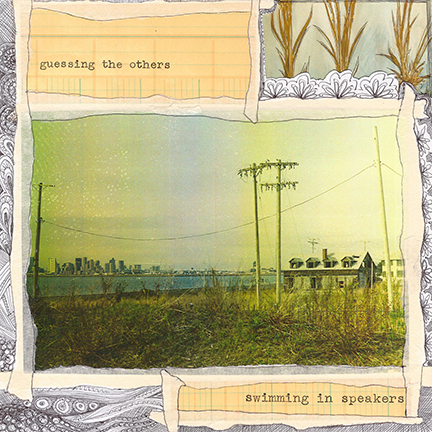 guessing the others – swimming in speakers (February 5): I can’t tell you how this strange, lo-fi, folky-electronic outfit with a whimsically beautiful female lead voice came to my attention, but it has become a go-to mood elevator in the same way watching Amelie can change my perspective from cynical to wonder-filled. Days Into Years – Elliott Brood (February 28): Interestingly, though I am not a tremendous Ryan Adams fan, this band also reminded me of his smoky voice over Neil Young crunchy guitars and often a Band of Horses retro-rock cool. I still need to sit with this album more, but I’d give it a solid recommendation already (also thanks to Wade). Sub-Verses – Akron/Family (April 30): I would call myself a casual fan of this band–I have most of their albums and enjoy some tracks immensely while others are more solidly moderate. But the two songs I’ve heard from this new release (below) produced a Pavlovian reaction of aural drool leading to one-click ordering. 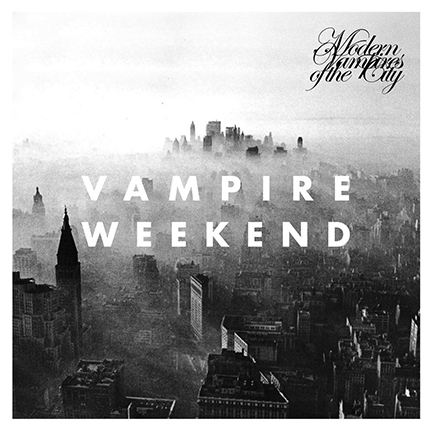 Modern Vampires of the City – Vampire Weekend (May 7): I think there’s been sufficient backlash against VW that we can look past the hype, calculated affect, and branding to simply listen to some lovely tunes that integrate things like the harpischord and loopy bass lines with fragile, self-consciously hi/low lyrics that nevertheless pluck at the heartstrings. 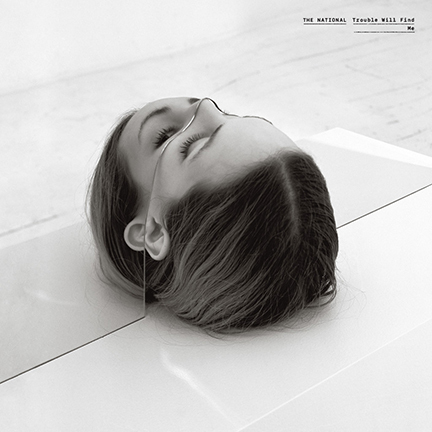 Trouble Will Find Me – The National (May 21): Some of you will not like Matt Berninger’s voice. That’s ok. I do & I love everything else about this fraternally-formed, preternaturally talented group. They have a musical golden touch. If this is for you, it will be the kind of trouble you would want to find you. If not, just keep walking. Currents – Eisley (May 28): Now I’m getting into murky waters. 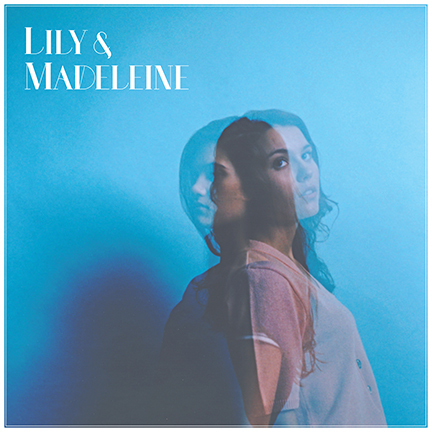 I haven’t followed this band of mostly female family members for a LONG time (sorry Wesley Chung), but something in me feels like this may be the album that brings me back. But don’t take my word for it–just an intuition. 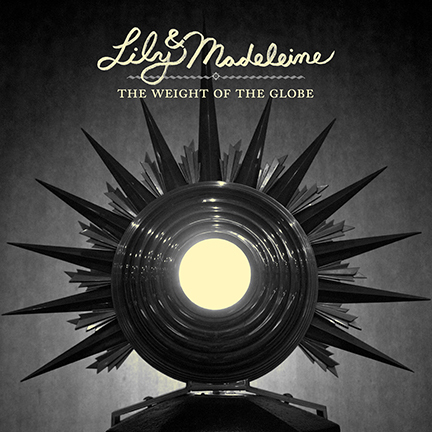 The Weight of the Globe – Lily & Madeleine (June 11): This find came to me via the Asthmatic Kitty email update (an epistle from the indie One’s priestly cult) & if the beauty of these two young ladies’ voices, melodies, and ageless lyricism doesn’t merit a head-shaking double take in any listener, then I have no ear, no eye, no soul. Overseas – Overseas (June 11): This is a new project with David Bazan (former frontman for Christian indie-heroes Pedro the Lion & a talented, but faithless solo performer in his own right) and some other hipster guys from bands that exceed my coolness pay-grade. Don’t know that I’m recommending this, as much as just putting it on your sonic radar. Kveikur – Sigur Ros (June 18): Sadly, I was not among the admirers of their most recent release, Valtari, which felt rather aimless and amorphous to me; however, supposedly they are moving to a more “direct, aggressive” style–which I’m not totally sure what that translates to (the video below doesn’t bode terribly well for me). I am a Takk/Hvarf man myself, so that’s what I’m secretly hoping for a return to. There are a few other upcoming releases I have no details on, but believe should be amazing: a new Arcade Fire album, surely one by Neko Case, and one by the lesser known but charmingly gifted Jeremy Messersmith. Some misses of the year so far: Josh Ritter‘s The Beast in it’s Tracks (a middling effort of post-divorce woe & rebound that’s mostly just depressing); I was utterly bored with the Thom Yorke project, Atoms for Peace; and don’t anyone tell my dear friend Matt Clatterbuck, but I sadly do not like the new Yo La Tengo either! Question: Did anyone get the new My Bloody Valentine? Low’s The Invisible Way? The new Strokes? Iron + Wine? If so, what do you think? I’d love to hear your thoughts and recommendations! !